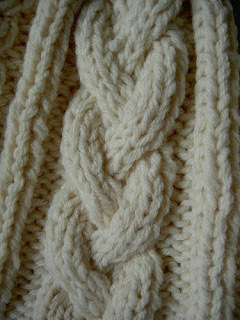 I am seriously in love with cable knits right now. I am blaming the fabulous fall weather, though the leaves haven't really changed quite yet and its supposed to rain the rest of the week. Of course, I've developed quite a soft spot for fancy-pants knitting projects as of late, whatever the pattern.